Can it automatically flip when the flipbook loaded in? 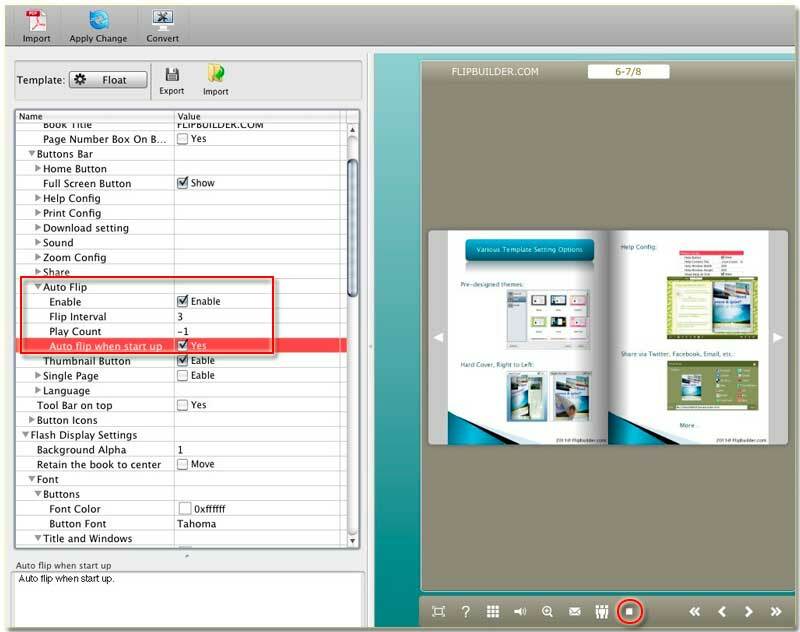 To release an instant impact when the flipbook has been loaded in, you come to make the flipbook flip automatically. It couldn’t be better if the flipping at a regular interval. Of course, you can disturbance the process of flipping manually. The interactive design allows you to control the whole book’s appearance. When open the flip webpage, before you hover the mouse to drag the page corner, it begins to flip. It is magic, isn’t it? To your surprised, it doesn’t refuse you disturb. Step1: Launch FlipBook Creator for MAC, begin to edit it to make it a masterpiece you imagine. Step2: Hover the mouse to the left settings and then find out the option of Auto Flip. Step3: first check Enable and then check Auto flip when start up, Enable will show the Auto Flip Button. Finally, you can open the output flipbook to check out whether it can flip automatically.